Stylish Star Allu Arjun’s Sarinodu has gathered huge expectations from the day one. While the first look poster had already gone viral, the makers are now going to give a glimpse of the film by unveiling its teaser, however in a never seen way before. The 30 second teaser will release in across 1000 theaters across Andhra, Telangana and Karnataka. 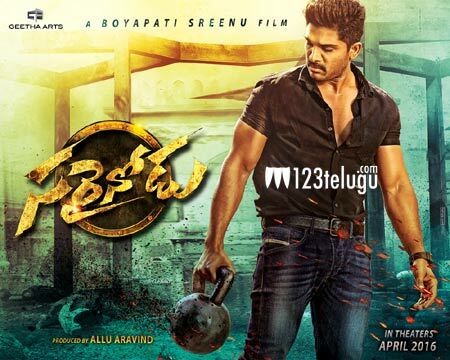 Sarainodu is directed by Boyapati Srinu and produced under Geetha Arts banner. Rakul Preet Singh and Catherine Tresa are the female leads.